Update (1740ET): The Washington Post just reported, citing sources inside Boeing, that an additional software problem has been discovered involving the 737 MAX 8. Though Boeing says the issue is "relatively minor", the FAA has nonetheless considered it "critical to flight safety", and is demanding that it be fixed before the agency approves the planes for flight again. Of course, after the details revealed by investigators in Ethiopia today, public trust in Boeing's reassurances is basically nil - and justifiably so. It's unclear whether this will significantly delay the completion of the revamped 737 flight control software, which Boeing has said should be ready in the coming weeks. Update (1205ET): Boeing issued the following statement regarding the release today of the preliminary investigation report of Ethiopian Airlines Flight 302 by the Ethiopian Accident Investigation Bureau (AIB). "I'd like to reiterate our deepest sympathies are with the families and loved ones of those who lost their lives in the accident," said Boeing Commercial Airplanes President and CEO Kevin McAllister. "We thank Ethiopia's Accident Investigation Bureau for its hard work and continuing efforts. Understanding the circumstances that contributed to this accident is critical to ensuring safe flight. We will carefully review the AIB's preliminary report, and will take any and all additional steps necessary to enhance the safety of our aircraft." Safety is a core value for everyone at Boeing and the safety of our airplanes, our customers' passengers and crews is always our top priority. Boeing's technical experts continue to assist in this investigation and company-wide teams are working to address lessons from the Lion Air Flight 610 accident in October. The preliminary report contains flight data recorder information indicating the airplane had an erroneous angle of attack sensor input that activated the Maneuvering Characteristics Augmentation System (MCAS) function during the flight, as it had during the Lion Air 610 flight. To ensure unintended MCAS activation will not occur again, Boeing has developed and is planning to release a software update to MCAS and an associated comprehensive pilot training and supplementary education program for the 737 MAX. As previously announced, the update adds additional layers of protection and will prevent erroneous data from causing MCAS activation. Flight crews will always have the ability to override MCAS and manually control the airplane. Boeing continues to work with the U.S. Federal Aviation Administration and other regulatory agencies worldwide on the development and certification of the software update and training program. Boeing also is continuing to work closely with the U.S. National Transportation Safety Board (NTSB) as technical advisors in support of the AIB investigation. As a party providing technical assistance under the direction of investigating authorities, Boeing is prevented by international protocol and NTSB regulations from disclosing any information relating to the investigation. In accordance with international protocol, information about the investigation is provided only by investigating authorities in charge. Update (1100ET): Ethiopian investigators have called on Boeing to carry out a full review of the anti-stall system on its 737 Max aircraft after finding pilots of a plane that crashed near Addis Ababa last month had followed the stipulated emergency procedures but were unable to save the aircraft. As The FT reports, Ethiopian minister of transport Dagmawit Moges called on the embattled aircraft manufacturer to carry out a full review of the anti-stall system on its 737 Max aircraft before they are allowed to fly again, after finding that the pilots were not to blame for the crash last month. Boeing stock is higher somehow on the back of all this?? Presumably trade hype/hope trumps crash liabilities. As we detailed earlier, the last few days have seen a steady stream of leaks from the team investigating the crash of ET302, each more damning than the last, culminating with reports published Wednesday that the 737 MAX 8's anti-stall software reengaged itself four times during the brief 6 minute struggle to right the doomed plane post-takeoff. Eventually, the sources said, the anti-stall software pushed the plane's nose lower for the final time, sending it plummeting toward the Earth. Boeing responded to this news with its own PR counteroffensive, and last night announced that its CEO, Dennis Muilenburg, had ridden in the cockpit of a 737 during a live test of its updated anti-stall software, and - get this - he survived! 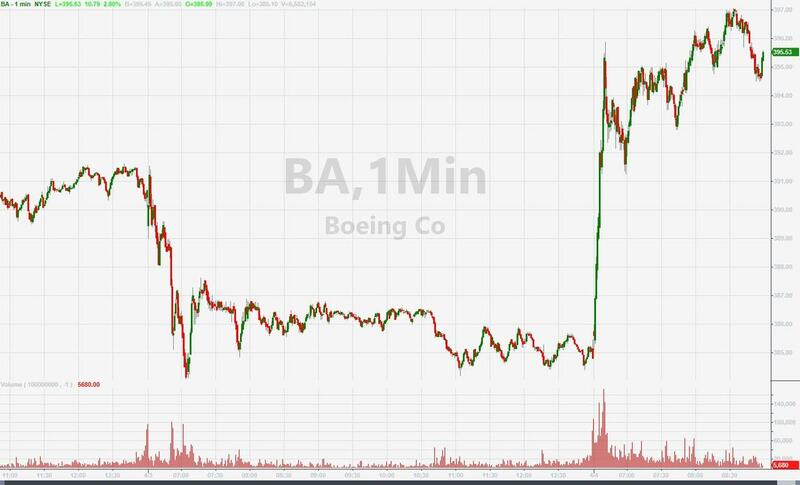 Boeing shares immediately lurched skyward. But alas, it might take more than one successful test flight to distract from what investigators just told the world. Because right around 11:30 am Addis Ababa time, the findings from the official preliminary report were finally released in full. And they weren't very flattering. 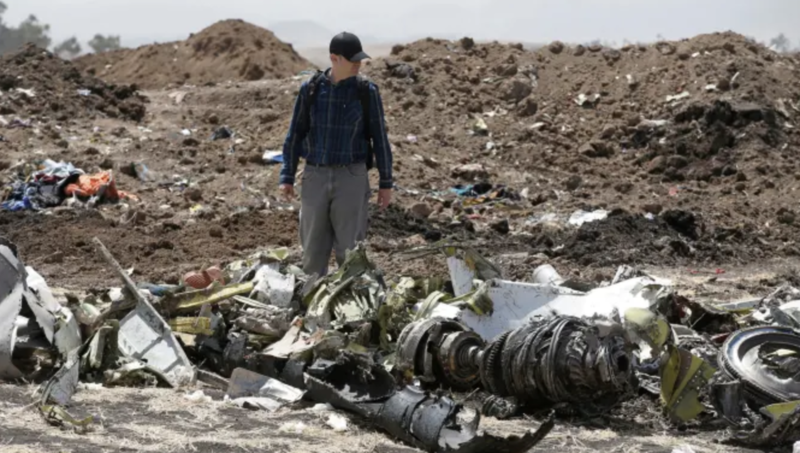 In the report, investigators urged Boeing to review the 737's flight control system, and concluded that the crash wasn't the pilots' fault. Which is a surprisingly indirect way of suggesting it was Boeing's fault. Finally, investigators recommended that Boeing complete "a full review" of its flight control systems, according to the FT.
Minister of Transport Dagmawit Moges said that the crew of the Ethiopian Airlines flight from Addis Ababa to Nairobi on 10 March "performed all the procedures repeatedly provided by the manufacturer but were not able to control the aircraft." As result, investigations have concluded that Boeing should be required to review the so-called manoeuvring characteristics augmentation system on its 737 Max aircraft before the jets are permitted to fly again, she said. 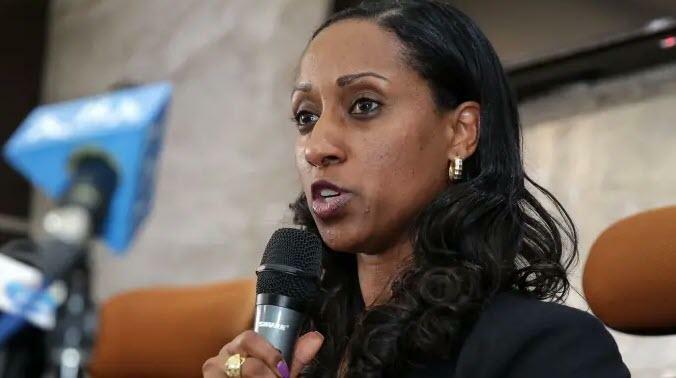 The results of the preliminary investigation led by Ethiopia’s Accident Investigation Bureau and supported by European investigators were presented by Ms Moges at a press conference in Addis Ababa on Thursday morning. Boeing 737 MAX 8s have been grounded by regulators around the world for more than two weeks as the company scrambles to convince the FAA, foreign regulators and nervous passengers, that it had solved the software glitch that is believed to have contributed to both the crash of ET302 and a Lion Airlines crash that happened five months earlier. Of course, these are only preliminary findings and investigators still need to finalize their report. But as Boeing scrambles to finish revamping MCAS after a delay, it's going to need to work extra hard to convince the public that these planes are safe.